Last month Apple released a new generation of “professional” MacBook Pro. It is believed that machines are equipped with very suitable for gaming components, qualifying them as “mobile gaming PC”, and can easily compete with the classic PC Windows. Videobloger Artem Dyachuk decided to find out how this is true. The basic version of the 13-inch MacBook Pro with Intel Core i5 processor with a clock frequency of 2.0 GHz and integrated graphics Intel Iris Graphics 540. For the experiment, decided to use several popular games:CS: GO, Dirt Rally, FIFA 17, Metro, GTA 5, Assassin’s Creed, Call of Duty: Black Ops 3 and Mad Max. CS:GO does not start under Windows, so the test took place in a virtual machine. The results were not too good for lovers of headshots: so FPS on high skill can not be and speech. Although this test is not entirely honest. 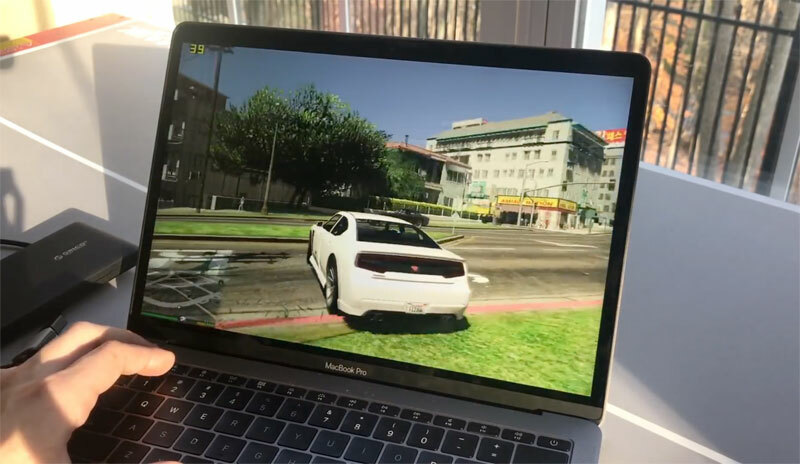 Other games run on a MacBook Pro in Boot Camp mode. The author came to the conclusion that none of the games at maximum settings even Windows is not showing the desired frame rate. While the lowest and medium settings in Full HD resolution you can expect 40-60 fps. This is enough for a comfortable game. The results of the experiment were not surprising: Apple laptops despite the high cost are not gaming machines, but to play them is still possible. On the question of whether it is possible to play using virtualization, the answer is definite answer is no: neither Parallels nor VMware are not able to provide proper performance.